Michelle loves to teach, and has been an inspirational musical leader of individuals and groups for over 30 years to students of all ages. 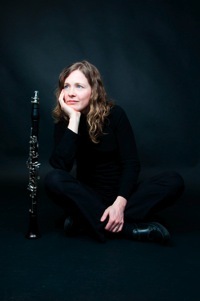 She currently teaches in her home studio in Vancouver, as has been the main clarinet teacher at St. George's School since 1990. She also leads educational workshops for several musical groups in the Lower Mainland, including the Vancouver Symphony Youth Orchestras, and the Vancouver Symphony Connects Program. She loves teaching students in all ages groups. As a clarinetist, she performs regularly with the Vancouver Opera Orchestra, and several other professional groups including the Vancouver Symphony Orchestra, the West Coast Chamber Music series and the Pacific Symphonic Wind Ensemble. Michelle was the music director of the Vancouver Cadenza Community Band for eight years, a band for adults who were returning to their instruments after several life distractions. 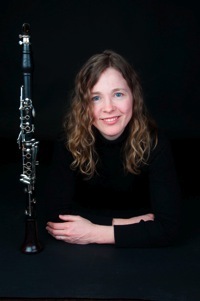 She currently conducts the Vancouver Clarinet Choir, for enthusiastic, amateur adults who enjoy performing chamber music together (with some coaching on clarinet skills and musical pointers from Michelle). Michelle's Youtube channel (www.youtube.com/clarinetmentors) has been watched over 1,000,000 times by clarinetists worldwide. She offers several online courses on how to play clarinet through her company, Clarinet Mentors (www.clarinetmentors.com). Michelle enjoys performing, coaching, and conducting. Her students have enjoyed success in several musical events including the Vancouver Kiwanis Festival, the BCMEA Honour Bands, the PSWE Youth Soloist Competition, and other competitions. She regularly coaches sectionals with groups such as the Summer Pops Youth Orchestra, the Vancouver Youth Symphony Orchestra, and several local schools. To book Michelle for performances, lessons or a coaching session, please call (604) 734-7999 or email using the contact button below. Please check the News and Events page for upcoming concerts and recordings. There is a recorded excerpt of Michelle performing Brooklyn Bridge, a challenging solo for clarinet and wind ensemble. This was recorded live in March, 2011. Like my photos? Check out photographer Laura-Lee Gerwig at My City Photos.